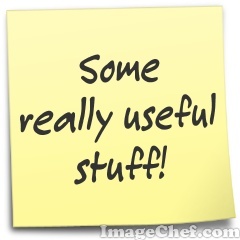 Do you struggle to write your blog post headlines or email subject lines? Me too. Well good news…..help is at hand! I recently discovered two great free tools that can help you review and enhance your blog post titles and email subject lines to make them work much harder for you. So how do you write a killer marketing headline? Well apparently it all comes down to something called the Emotional Marketing Value (EMV) score. The result of a whole load of research and a simple test used to provide an actual rating that can be used to judge how well your headline will be received by the audience reading it. The Emotional Marketing Value is a score that looks to assess how a group of words follows these emotional harmonics, and how likely they are to elicit an emotional response from a reader. Clever stuff! The Emotional Marketing Value Headline Analyzer is a tool based on the research that is made freely available by the Advanced Marketing Institute. 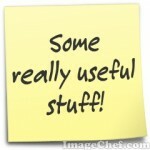 Using it can easily provide you with such a score for your blog post title or email subject line. 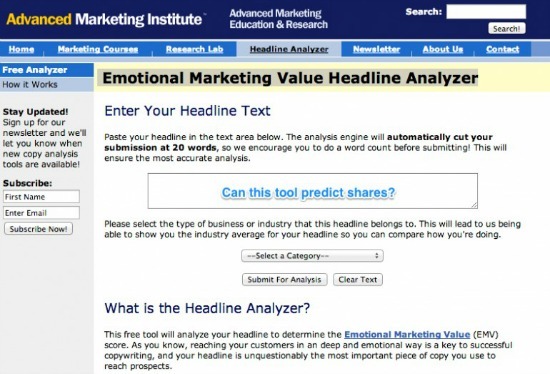 The Emotional Marketing Value Headline Analyzer is really easy to use. Simply copy and paste your marketing headline into the box and it will give you a calculated score of your headline’s EMV Score. This blog post score indicates that your headline has a total of 40.00% Emotional Marketing Value (EMV) Words. To put that in perspective, the English language contains approximately 20% EMV words. Co-Schedule also offer a Blog Post Headline Analyzer which does much the same thing and gives you some handy pointers on areas for improvement. Give it a try too. The best I’ve scored so far is 70%. Not too bad but there is always room for improvement. So go on, give it a go!